NeoSpectra ™ sensors are compact and low cost Fourier Transform Near InfraRed (FT-NIR) spectral sensors. They deliver the spectral response of the light absorbed by materials for quantification, qualification or identification. 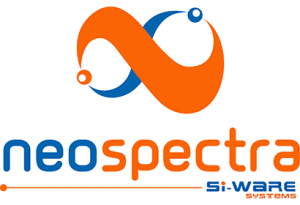 NeoSpectra’s unique features bring a new perspective to optical spectroscopy. The sensors are constructed from low cost, robust, permanently aligned, and highly reproducible components. The core technology is based on semiconductor fabrication techniques promising unprecedented economies of scale. It doesn’t take a second thought to realize the importance of material analysis in our lives. The more we know about the things that surround us, the better we can exploit them and interact with them. Being able to analyze the make-up of materials is important not only for industrial applications, but also for average consumers. However, conventional analysis techniques must overcome many challenges to get out of the lab and be usable by non-expert end-users. Ease of use, speed, accuracy of measurement, miniaturization, and scalability are just a few examples of important attributes that have to be well considered to reach this goal. NIR spectroscopy is an established technique for the quantitative and qualitative analysis of materials. The benefits of its usage have been validated in different application areas. It tends to be used for well-targeted applications by developing analysis methods that are specific to the target application. Although this may be perceived as an added complication, the work involved is minimal compared to the realized benefits. NeoSpectra sensors enable measuring NIR spectral data similar to those generated by conventional systems. This technology’s unique features promise enabling new usage models not only for experienced spectroscopists, but also for average consumers.